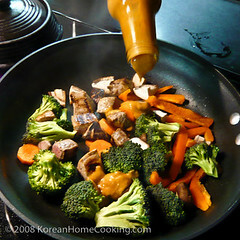 Stir-fried Tofu and Broccoli in Thai Yellow Curry Sauce that I tried before was a big success. 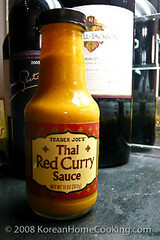 So, I picked up another bottle of Thai curry sauce from Trader Joe's, and this time I decided to try their red curry sauce. I liked both. But if you are into spicy foods, I think you will like red curry sauce more than the yellow sauce because the former seems to have much stronger and spicier taste than the latter does. 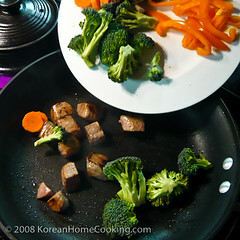 Cut beef and vegetables into bite-size. 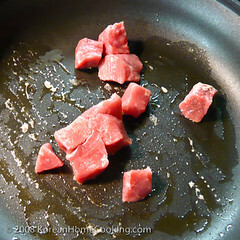 Glaze a pan with oil and cook beef cubes first. 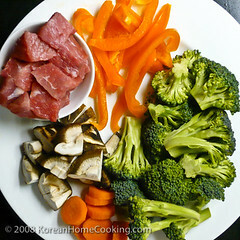 When the beef is almost done, add rest of the vegetables and stir fry. 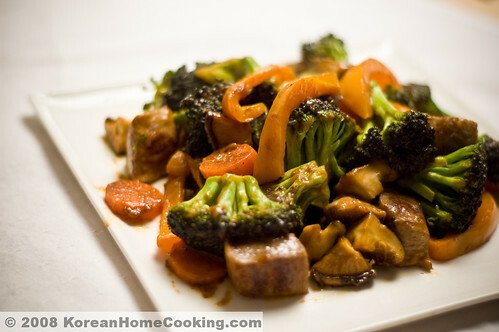 Add Thai Red Curry Sauce and quickly stir-fry until the sauce is well mixed in. I'm looking for something special recipe that I can cook and eat for my dinner tomorrow and this recipe is perfect for me! I will cook this tomorrow. Thank you for sharing! Within a the word it is believed for the reason that ‘changing background’. And yet fake louis vuitton clipping out method is absolutely not an adequate amount of to modify experience from heaps of different graphics and yet basically typically the imagery with the help of very hard and / or clean brink prefer literature, toy plates, purses, apparel, trainers, charms, vapor hardware and so. Nevertheless, typically the graphics with the help of light and / or hairy brink prefer fur and / or mane rolex replica masking and also clipping out way to isolate out of your main experience. Extra graphic cropping and editing prefer Photoshop masking, Photoshop retouching, Graphic manipulation, slide shadow, reflector appearance need to have clipping out method to boot. Consider, amazing make an application getting strategy to a perception, you will need clipping out method to boot. Typically the dependable louis vuitton wallets only hairy section might be cut to stay untouched whereas getting typically the hairy and / or hairy section. Whereas working at retouching typically the fashion designers will need to stream several area towards retouch and / or meet it again aided by the snooze thing. That allows you to design reflection and / or slide shadow appearance typically the DTP can’t and yet make an application clipping out method to begin with to bring several shadow and / or reflection appearance. Surely, clipping out method will be to begin with cartier replica sale to read Adobe Photoshop. Just about every individual trendy deserves fantastic charge concerning clipping out method a fantastic trendy. Perhaps even, it’s available system for the purpose of styling any sort of original art form. It's actually a huge system in your fake rolex from look manipulation in addition to a critical portal to exclusive inspiration.